Paul Jensen grew up in Red Wing, MN, where he was involved in the Boy Scouts of America and attained the highest achievement rank of Eagle Scout. The Boy Scouts ethics formed the foundation for his later successes. His first job was ushering for a movie theatre, which he traded in to attend college at the University of Wisconsin. A triple threat in intermural football, basketball and softball, not only did he play hard, he worked hard and achieved a Bachelor’s of Science, with honors, in Mathematics and Business. After graduating Paul worked as an underwriter for Sayre & Toso, and then as Marketing Manager for A&A in Portland. 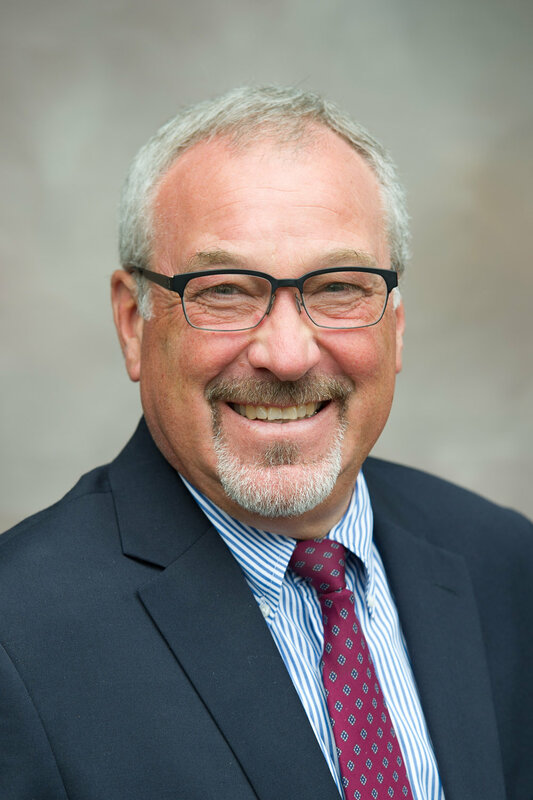 Then he joined Willis in Eugene as a Producer before bringing his expertise to Ward Insurance in 2000 where he remains one of our top Producers, and a Partner. His success in the industry has been achieved with his clients-first mentality, and enjoyment of designing coverage to fit each client’s unique needs. When not on the job, Paul continues his work hard play hard mentality with hunting, fishing, gardening and cooking (particularly barbecue). Assess your health and the health of your family members before making any selections. 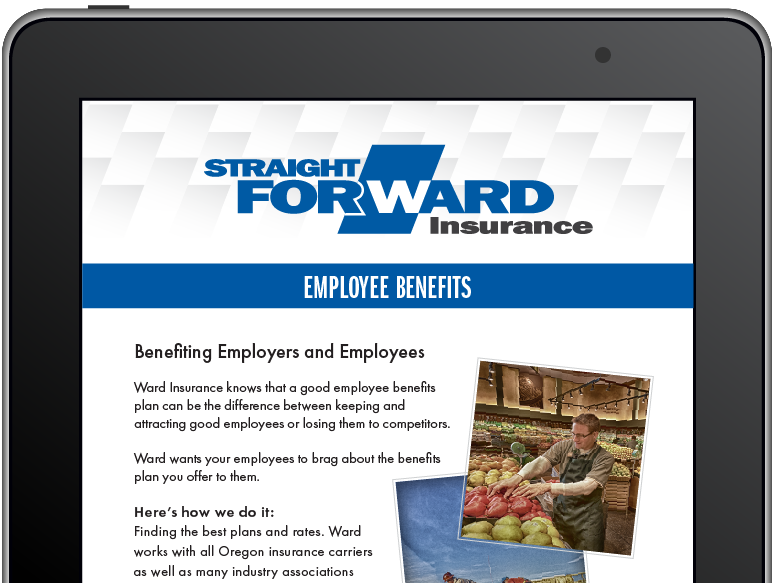 Examine how you allocated benefits last year and how they worked for you. Attend all company meetings designed to explain new benefit offerings. Utilize plan selection and comparison tools. Before selecting a plan, verify that your doctor and hospital of choice are part of the network of health care providers that are covered. Participate in wellness and disease management programs to not only become healthier, but also to receive potential discounts on your health benefits. The best rule of thumb is to make a list of your benefit priorities to determine which plan will serve you best. Then, let the selection process begin. The Workers’ Compensation Division announced yesterday that the average pure premium rate will decrease by 14 percent for 2018. The cents-per-hour assessment for the Workers’ Benefit Fund will remain 2.8 cents per hour. DCBS is proposing an increase in the premium assessment rate, from 6.8 percent to 7.4 percent. Read the DCBS news release. Cheri started working in the insurance industry in the early 1980’s as an assistant administering health insurance for The League of Oregon Cities. She left her Oregon roots and moved to the Midwest for a stint, where she found a home in Commercial Insurance. Luckily, she made her way back to the Pacific Northwest and has been serving clients of Ward Insurance, at our home office, for over 12 years. She is captivated by the opportunity to work with a variety of businesses and to learn about their operations. This allows her to work on their behalf and determine the best coverage placement for each client. In her spare time, she enjoys “putzing” around at home, gardening, camping and many other outdoor activities with her husband. Ward insurance took to the greens as the Title Sponsor and Hole Sponsor of the 18th Annual Golf Classic benefit for children living in St. Vincent de Paul's Affordable Housing. This was Ward's 5th year as a sponsor of the event. Employees enjoyed a round of golf and were available to discuss insurance with attendees. 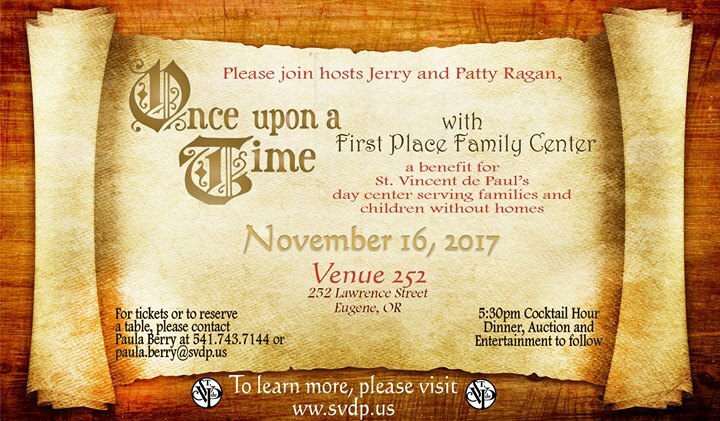 Once Upon a Time helps First Place Family Center and benefits homeless families get back on track and into affordable housing. This is Ward’s 4th year sponsoring a table at their auction dinner fundraiser. The fundraising event raises over $125,000 every year for families. The Autumn blood drive was another success with 13 units collected, which will go to help save as many as 39 lives.